Crush Your Next Lunch-and-Learn with These Successful Tips. Ever been to a lunch and learn? In less than an hour, managers can motivate and educate their team members, training them as they explore ideas in a setting that is friendly, comfortable and conducive to meaningful discourse. That’s only part of the appeal. 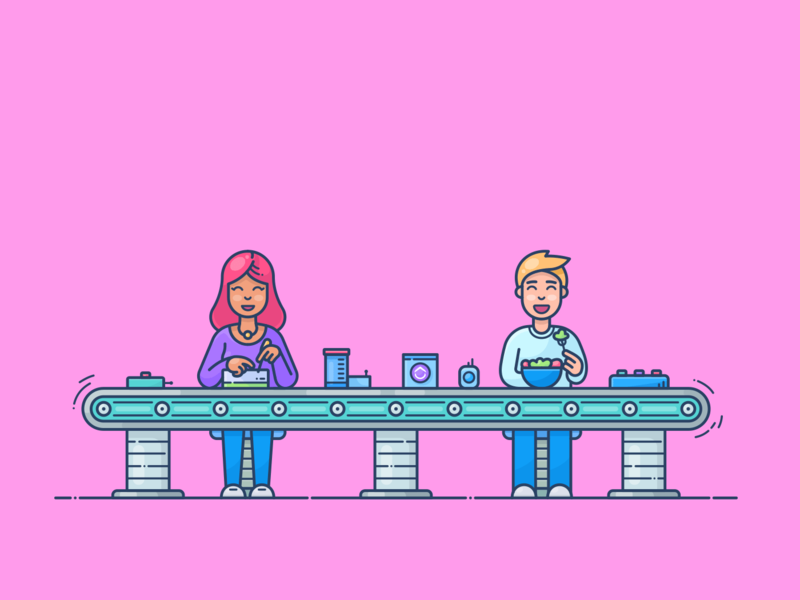 When companies create lunch-and-learn programs to engage with their employees, they’re facilitating discussions that can identify and address critical issues. Beyond team-building, these 30 minutes can reveal much about the inner operations of the workplace that weren’t previously known to upper management. In short, lunch-and-learns are advantageous at every level of the corporate structure, providing a platform for both instruction and problem-solving. With this in mind, their comparatively low cost and high value make them attractive to business owners. However, organizing these programs takes planning and coordination. But how do you make it worth your employees time to where it’s positive and not a hassle? As long as you follow some of the suggestions below, you’ll find the process for developing your program is straightforward. It requires an understanding of the basics, of course, but they’re simple to grasp and easy to build on. The first thing to consider when building the framework for a lunch-and-learn is structure and details. Employee-led professional development: An employee in another department leads a session on one of their skills. Cross-training: Teach employees how to function within their position, like leadership training for first-line managers. Diversity activities: Showcase cross-cultural education and invite guest speakers to explore inclusivity. Product training: Help employees understand product differences if the company offers multiple items. Personal development: Use the opportunity for nonwork-related activities, such as painting and wood carving. Once the manager has decided on the focus of their program, they’ll need to determine its structure and objectives. What time would work best given their employees’ current schedule? What should they take away from the experience? After answering these questions, the manager will begin to have a better idea of where they’re going to take their lunch-and-learn. As they establish topics of discussion, goals for the session, the timeline, location, and food/beverages, they should seek approval from their superior and appropriate HR personnel. When they receive approval, they can begin to promote the event and send emails with information. It might seem counterintuitive, but managers should make these sessions optional, not mandatory. Otherwise, they’ll risk disinterest and a lack of enjoyment of the program, which will adversely affect results. As a final note, managers should record the session for the later reference, placing the digital file in an easily accessible folder available to the entire workforce. If they have difficulty handling these details, they can use project management software and employ other methods to improve productivity. A successful lunch-and-learn session requires finesse and subtlety. Even with a strong framework, managers will need to consider the smaller, but no less important considerations that determine employee engagement. To ensure the popularity of your program, here are a few simple tips to help you reach your goal. Managers should prepare insightful presentations with useful takeaways. While it’s essential to capture and retain the interest of employees, the session is ultimately useless without practical information. They need actionable advice that applies to their everyday lives, and it’s possible to reframe it in a fun context. Managers should consider booking leadership speakers with experience in your industry. When they bring these professionals into their workplace, it adds credibility to the program and catches the attention of employees. They’re more likely to attend the session and take thorough notes on the topic. Managers should keep their program concise. It’s best to aim for between 30 and 45 minutes to an hour at the very most. A presentation with this timeframe isn’t too short or too long, but the perfect length to sustain the focus of employees and allow them to return to work without much disruption. As you move into the final stages of planning and developing your program, you’re likely curious to learn more about its benefits. While lunch-and-learns offer many advantages for instruction and problem-solving, they also have substantial value for your office culture. While assessing the many benefits of lunch and learn programs, managers are often interested in the positive effect on their team dynamic. They see improvement in communication skills, greater attention to collaboration and coordination, and a noticeable boost to employee morale. Why is this the case? When employees meet in a relaxed setting to learn a subject and share their opinion, they feel valued. As managers provide a platform for open dialog and encourage participation, an employee is more than just their job title, but a person who’s contributing to a conversation to reach a common goal. Lunch-and-learns supplement training, of course, but they also provide opportunities for employees to offer their perspective. With this in mind, it’s always helpful to devise and enforce a set of “team norms” to keep the discussion relevant and respectful. These discussions shouldn’t monopolize the session, though. At the end of the program, managers should set aside time to evaluate the success of their program. They can ask their employees for ideas on future topics, areas that need refinement and other suggestions, involving them in the development process. In this way, they’ll continue to strengthen teamwork in their office. Start Planning Your Lunch-and-Learn Today! After you’ve built the basic framework for your lunch-and-learn and integrated some of the suggestions above, you can feel confident moving forward. You’ll enjoy the benefits listed here and many others, teaching your employees while motivating them to communicate and collaborate. It begins with preparation. With this in mind, research your options and write an outline, and start planning your lunch-and-learn today.